ViaCloud Technologies designs and implements core voice and data networks utilizing traditional routing and switching technologies as well as advanced security, wireless/mobility and optical networks. We deliver engineering-led solutions and best-available technology and utilize best practices to help maximize the efficiency of our client’s network. We design secure and scalable IP networks built on the most advanced networking infrastructure platforms. Network Architecture - ViaCloud Technologies’ experts design the right network architecture for our clients’ business, implement it according to proven best practices, and tune it for the applications and traffic patterns that exist in our client’s environment. 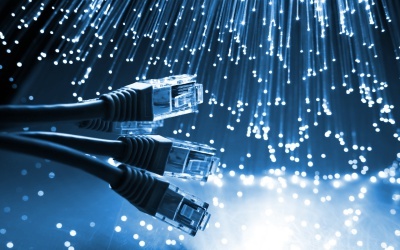 We help our clients optimize their local area, wide area, wireless and optical networks. Wireless Network Access - Our team of experts take a holistic approach and design a network that provides wireless access that performs like wired and effectively supports the policies that enable BYOD. We provide policy-driven, on-demand wireless network access that regulates admittance and ensures that control and system security are retained. Network Assessment Services - ViaCloud Technologies’ experts assess our client’s network and identify performance issues, such as bottlenecks, and the equipment that should be upgraded. When network issues are uncovered, we provide a comprehensive remediation plan to fix the problems and optimize network performance. Network Inventory Assessment Services - Our Network Inventory Assessment Services include a comprehensive documentation of our client’s IT network. We conduct a detailed hardware and software lifecycle analysis, as well as network performance investigation. We highlight any potential problem areas and provide immediate resolution for network performance issues. Video Assessment Services - ViaCloud Technologies helps clients determine if their network is ready to support real-time traffic and Quality of Service necessary for video applications. We identify network weaknesses and include recommendations to ensure our client’s IT dollars produce maximum ROI while delivering high levels of performance. Collaboration - Our team of experts guide clients through the careful selection of the right unified communication and collaboration technologies that drive innovation and efficiencies. We find new ways to uncover and act on information that is often scattered across our client’s organization.